Glaucoma may be one of the leading causes of irreversible blindness in Canada, but surprisingly little is known about what actually causes it. Now, U.S. researchers think they have found evidence that the eye disease might actually be caused by an autoimmune response. Glaucoma may be one of the leading causes of irreversible blindness in Canada, but surprisingly little is known about what actually causes it. Now, U.S. researchers think they have found evidence that the eye disease might actually be caused by the immune system attacking cells within the eye, leading to vision loss. It’s long been known that those with glaucoma develop pressure within the eye caused by a build-up of the fluid that normally circulates through the eye. The increased pressure damages the nerve cells within the retina -- the thin tissue at the back of the eye that helps to read light. 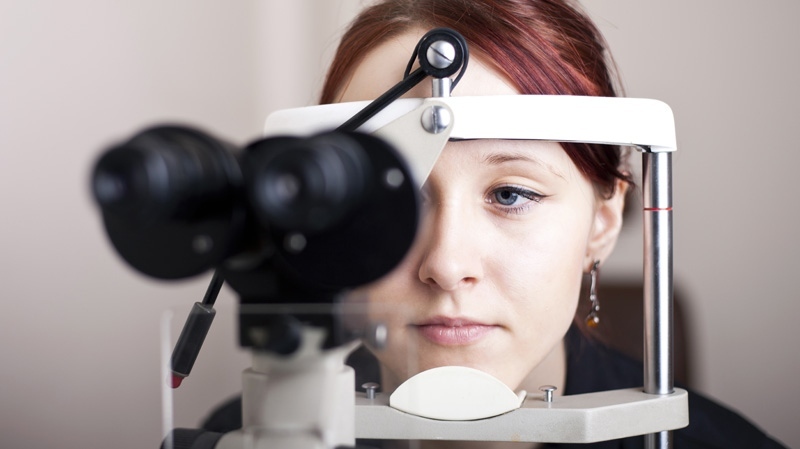 Once these cells are damaged, they can’t be replaced, resulting in permanent vision loss. Although the disease can affect anyone, the risk increases with age. But why the fluid build-up begins is not clear. Now, researchers from the Massachusetts Institute of Technology (MIT) and Massachusetts Eye and Ear say they may have found evidence the body’s immune system plays a key role. The team made their findings after noting that the only treatment for glaucoma -- which focuses on lowering pressure within the eye -- can only slow the disease in some patients. In others, returning eye pressure to normal does not do anything to stop the condition from progressing. That got the MIT team wondering if the eye pressure triggers something that continues the damage. To test their hypothesis, the researchers looked for immune cells in the retinas of mice with glaucoma, which would suggest an autoimmune response was underway. To their surprise, they found T cells, the white blood cells that help mount immune responses. T cells should be blocked from entering the retina by what’s known as the blood-retina barrier, which helps suppress inflammation of the eye. But the researchers found that when pressure in the eye rises, T cells somehow get through this barrier. They next experimented on mice that lacked T cells and deliberately generated high pressure in the eyes of these mice. While the pressure induced a small amount of damage to the mice’s retinas, the disease did not progress further after eye pressure returned to normal. The researchers also realized the glaucoma-linked T cells were targeting proteins called heat shock proteins, which help cells respond to stress or injury. They suspect that that these T cells likely had previous interactions with bacterial heat shock proteins, which sensitized them to attack the proteins within the eye. When the researchers examined a group of 18 human patients with glaucoma, they found they too had elevated levels of T cells specific to heat shock proteins, compared to healthy people -- suggesting the same process can occur in humans. Finally, the researchers tried to induce glaucoma in a group of mice bred for generations in a germ-free environment. They found the mice would not develop the disease. Study author Jianzhu Chen, an MIT professor of biology, says their findings open “a new approach to prevent and treat glaucoma," using treatments that would reduce eye pressure while also blocking the autoimmune activity. The full study appears in Nature Communications.